﻿ Continent Hotel Danang, Da Nang | FROM $15 - SAVE ON AGODA! "The room was spacious enough and clean." Have a question for Continent Hotel Danang? "The hotel is a good value." "Cosy for a temporary stay." "Room was bright and clean." 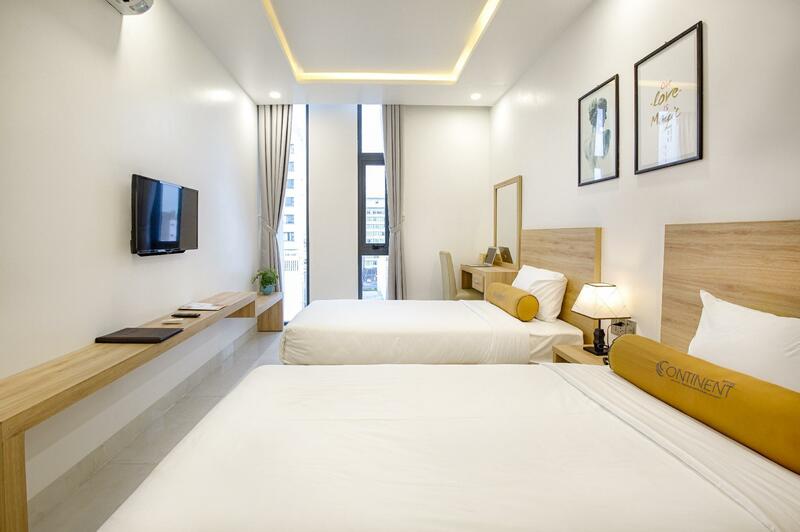 Offering quality accommodations in the family fun, culture, sightseeing district of Da Nang, Continent Hotel Danang is a popular pick for both business and leisure travelers. Set 1 km from the excitement of the city, this 3.5-star property commands an excellent location and provides access to the city's biggest attractions. With its convenient location, the property offers easy access to the city's must-see destinations. Continent Hotel Danang offers many facilities to enrich your stay in Da Nang. 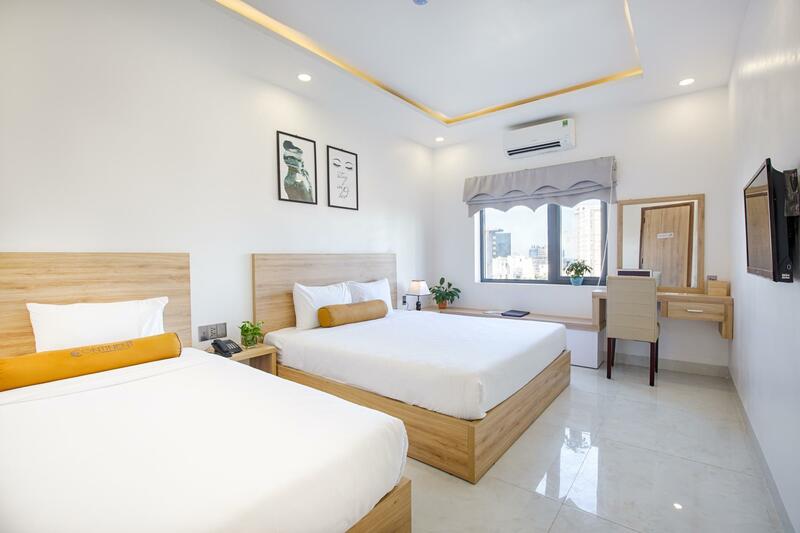 A selection of top-class facilities such as free Wi-Fi in all rooms, 24-hour security, daily housekeeping, taxi service, ticket service can be enjoyed here. 36 rooms spread over 8 floors provide a warm and pleasant home away from home. 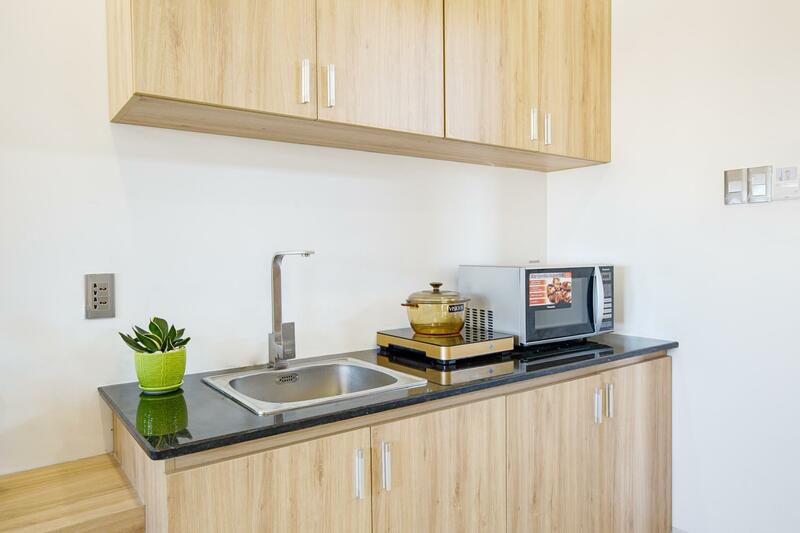 Comforts such as flat screen television, cleaning products, clothes rack, complimentary instant coffee, complimentary tea can be found in selected rooms. The property's host of recreational offerings ensures you have plenty to do during your stay. 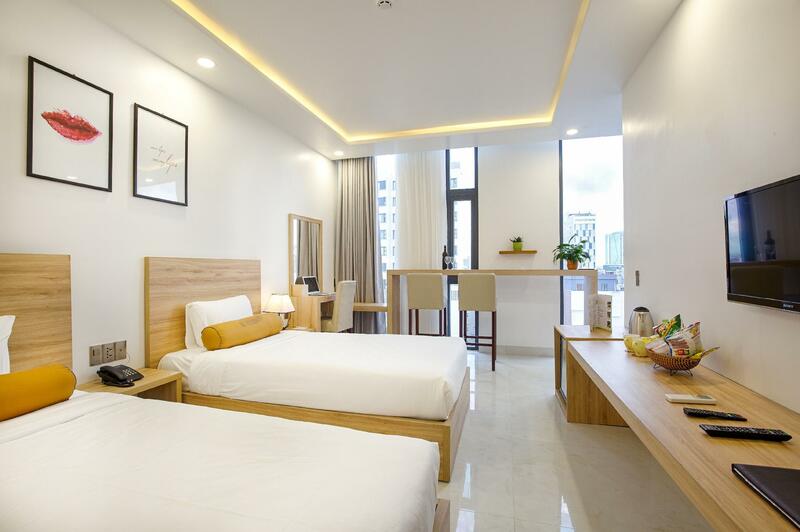 Continent Hotel Danang is a smart choice for travelers to Da Nang, offering a relaxed and hassle-free stay every time. "Nice location, clean, staffs friendly." Breakfast buffet so good, big room, clean, nice staff. The only "but", if you are traveling with someone else, the bathroom is transparent stained glass. But for me, was good. You can watch tv while popping, lol. This is a fairly new hotel. The hotel is understaffed. The people they have work very hard but need to be trained. The laundry service was a disaster with clothing being initially being lost but found. Color stains from other clothing were on the white things. There are so many other hotels to choose from that i would try another. The buffet area does not have enough room for this hotel as everyone must constantly be aware or spilled food will result. The roof top bar is not really a bar but just a place to go for morning breakfast to get away from the top floor crowded breakfast area. There is a dirty drink stain on the rooftop bar floor near the south edge of the floor that has been there for some time. The plants within the roof top area show extreme signs of neglect. some are dead and others need water and care. Why use plants for esthetics when they are unsightly. Not quite the beach location and not on the other side of the river. Within walking distance of many restaurants and a few small eateries. Many businesses nearby cater to Korean tourists so you'll see a lot of signage in Korean also. The room was clean. Not much directly around the hotel, but maybe they will start building stuff soon. Breakfast was good with a variety of items Western and Vietnamese. Made to order eggs is always great! Had a one night stay before continuing my journey to Hoi An. Everything was decent in the hotel and for what we pay for, it was adequate. Believe this is the Korean part of Da Nang and surrounding the hotel was mostly Korean eateries and marts, while there were some Vietnamese eateries. Didn't explore much but it was a 10 minutes walk to My Khe beach. Recommend for people who aren't too fussy with their accommodation. Overall satisfied with my stay! I stayed here for 2 nights. I had booked double bed room but they gave me a room which is facilitated with 2 twin beds connected to each other, was okay but not so comfortable for a couple. The room was spacious enough and clean. That was reasonable for me coz I spent much more time going sightseeing than staying in the hotel room. Two nights stayed here. Was upgraded room without request. Room was very clean and had everything we needed. Breakfast served on roof terrace. Great choice and changes everyday. Staff very helpful. Location ok, bit of a walk to some restaurants and shops. Would stay again!! It was a cheap hotel and suited our needs but the receptionists felt a bit unfriendly and one of the staff said breakfast closed at 9 so we went up to see if we could still buy it and discovered it closed at 9:30... a little confusing and something all staff should know... the staff in the restaurant were very good. I booked for a 7 night stay through Agoda. The Studio King Room was very clean and spacious. When I arrived, the room seemed to have quite a few bugs. I informed reception and asked for a room change and they immediately catered. After the room change, all was perfect. The room was very large with a great city view. The bed was very soft and cosy. The shower was clean and of western standards, however the shower pressure was quite weak and I spent twice as long as I should have. The high tables and chairs were perfect as an eating place or even working desk. The location is between the beach and city, with a few Korean restaurants and convenience stores around. There is also a nail salon a short walk away. Would definitely stay again. The hotel is about 45000d from city but you have the advantage of quiet relaxed area with restaurants handy. The rooms are of a good size the beds are very comfortable and large. The breakfast is Asian oriented with little selection. The front desk staff are excellent and extremely helpful and friendly assisting with tours and local information . They have a few bicycles to use free of charge. Over all I enjoyed my stay at the hotel. Although it is a little distance from the city centre 60,000d will get you a taxi in the city . 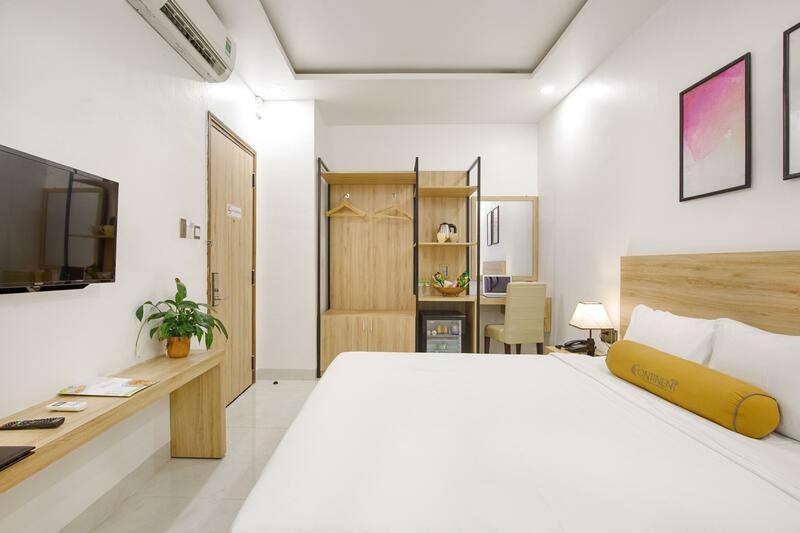 The rooms are spacious and clean with very comfortable bed. Although it does not have a restaurant there are many restaurants close by. The area is quiet and relaxing. This hotel is near beach and city centre. Many restaurants and entertainment spots are around. Room is very clean, decent and full of facilities. Breakfast served is very delicious. Cheap price in my trip (maybe due to rain season in Da Nang). Helpful staff and services such as free bicycle and breakfast (buffet). High recomment for couple's holiday to enjoy. The room is clean, comfy and looks modern. But the location is a bit far away from the city. You need to get taxi or grab car to there. Walking will takes about 20 - 25 minutes. Breakfast is okay. Simple and nice. With all the "excellent" reviews, I was expecting a very good hotel, but by the look of it after only 1 day, the reviews are most likely fake reviews, like a lot of them in Vietnam . There was no hot water even after waiting an hour; the room is a good size, but towels and sheets are old and worn out; the place is reasonably (!) clean But bathroom had no toilet paper. On the positive side, the rooms are as cheap as 14$/day, the same as a hostel, the bed was comfy, a/c is inaudible, the breakfast was adequate (on a nice roof top terrace ). The location is so so, a bit far from the attractions of the city, grab taxi are only 2$ to get to the centre of town . Staff was pleasant enough, the overall score should really be 2.5 to 3 bubbles, 4 bubbles if your expectations are on the lower side. There are too many competitors around the area and so Continent looks slightly meh. However, great location. Helpful front desk and clean interior with good and cooling aircond. Breakfast spread is not attractive and not tasty. But good experience! The hotel is OK but the building shows som design/construction flaws. Staff is friendly. Breakfast is OK but nothing out of the ordinary. A lot of constructions is going on in Da Nang. The location of the hotel is not so nice. Lot's of empty lots or construction sites around. If you are ther for the beach, stay closer to the beach, if not i woulds suggest staying at hte other side of the river. I arrived in Danang. Did not know anything about the city. Hotel staff including Binh was great. They provided us with great help finding restaurant and transportation. Room was great. Great view from rooftop deck. You can see the ocean.